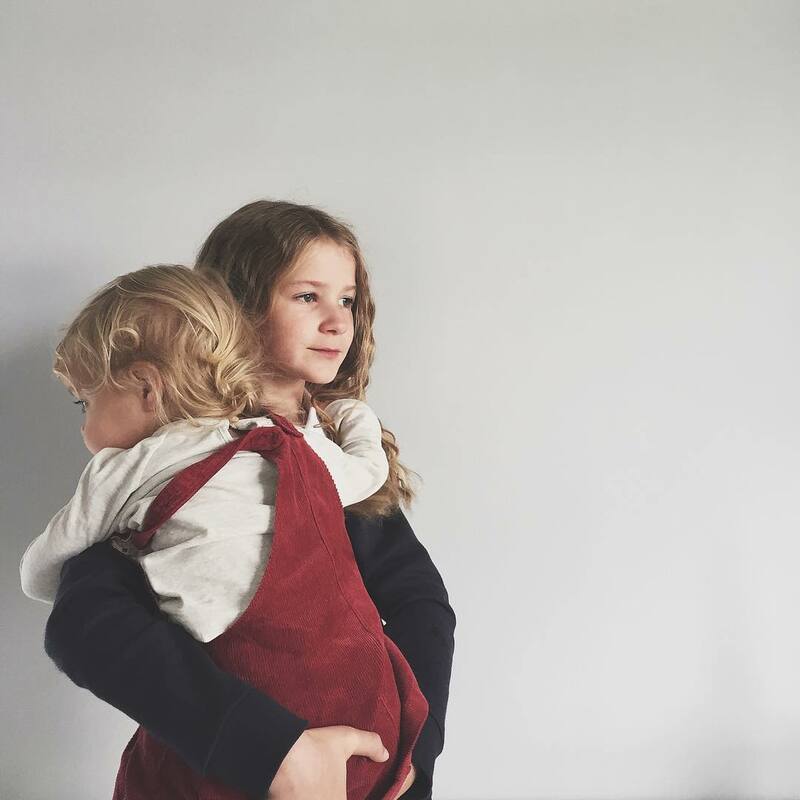 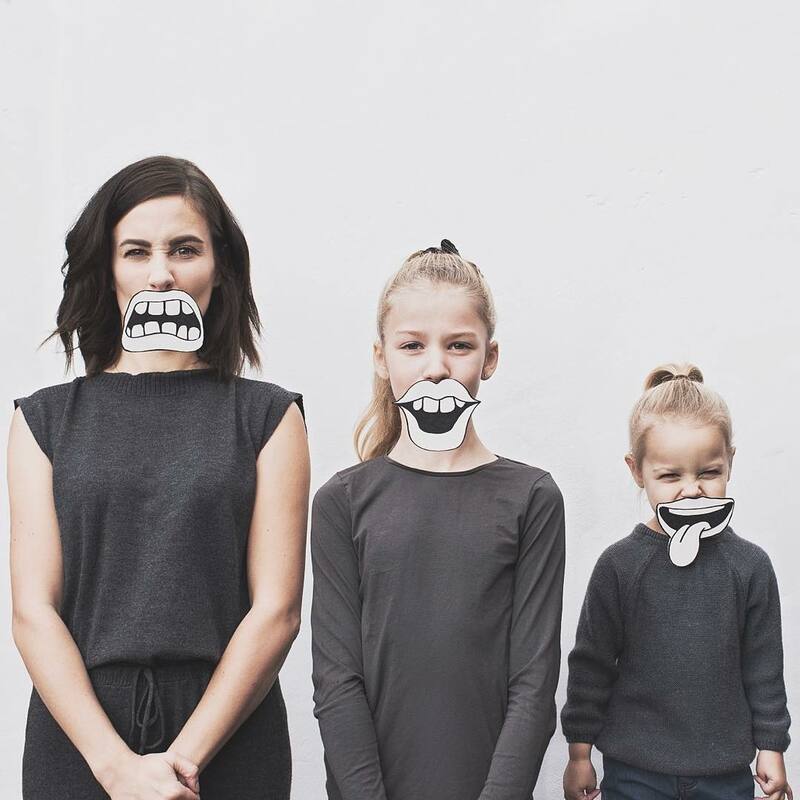 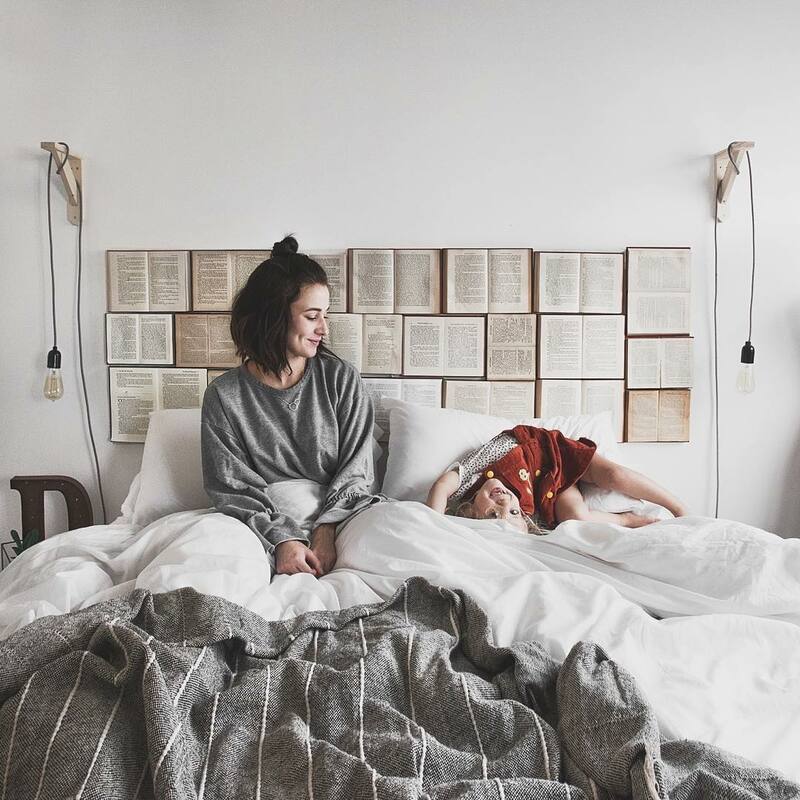 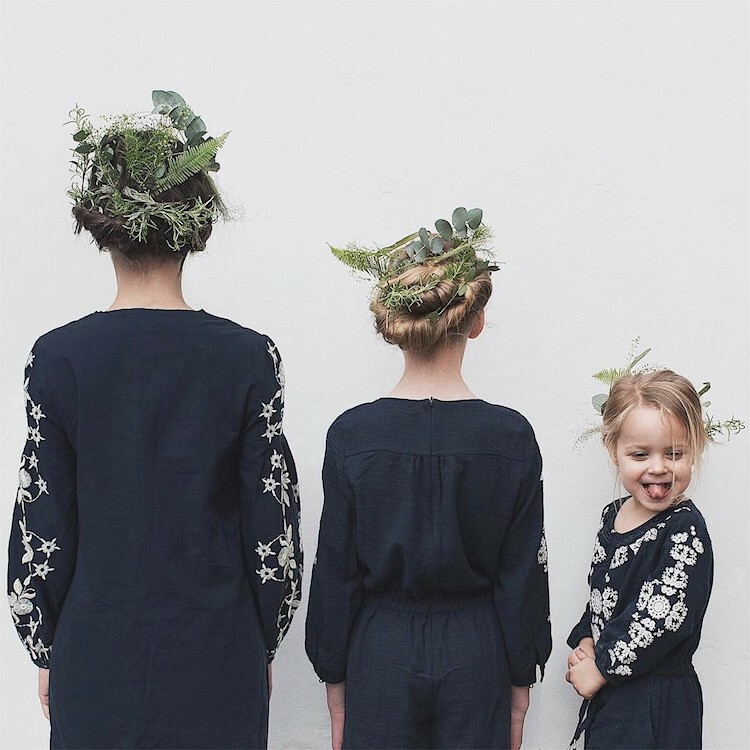 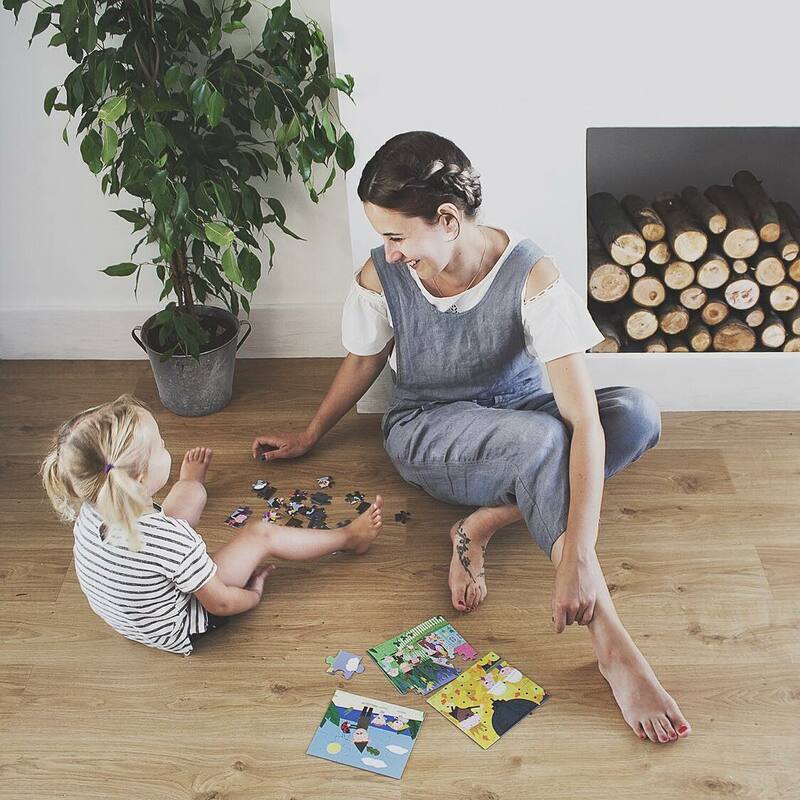 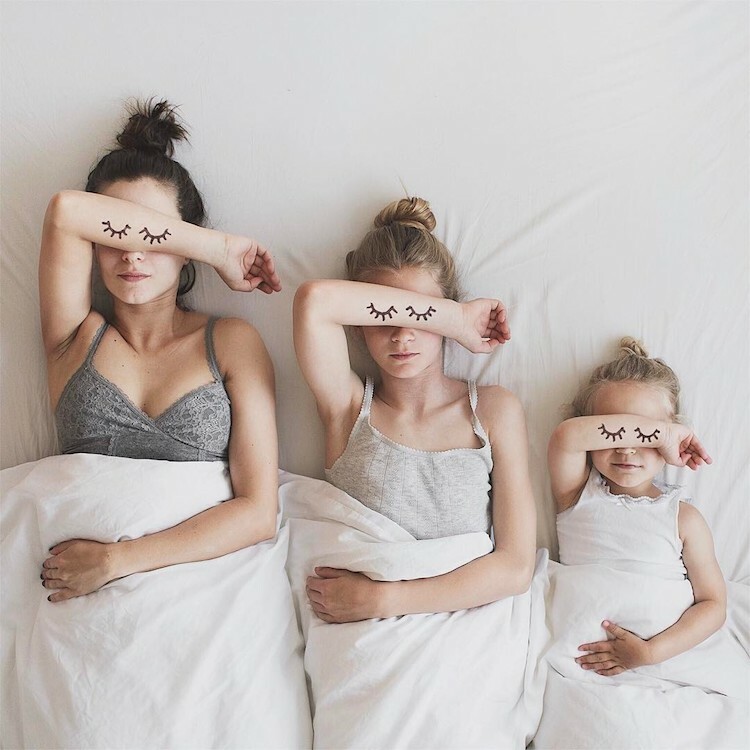 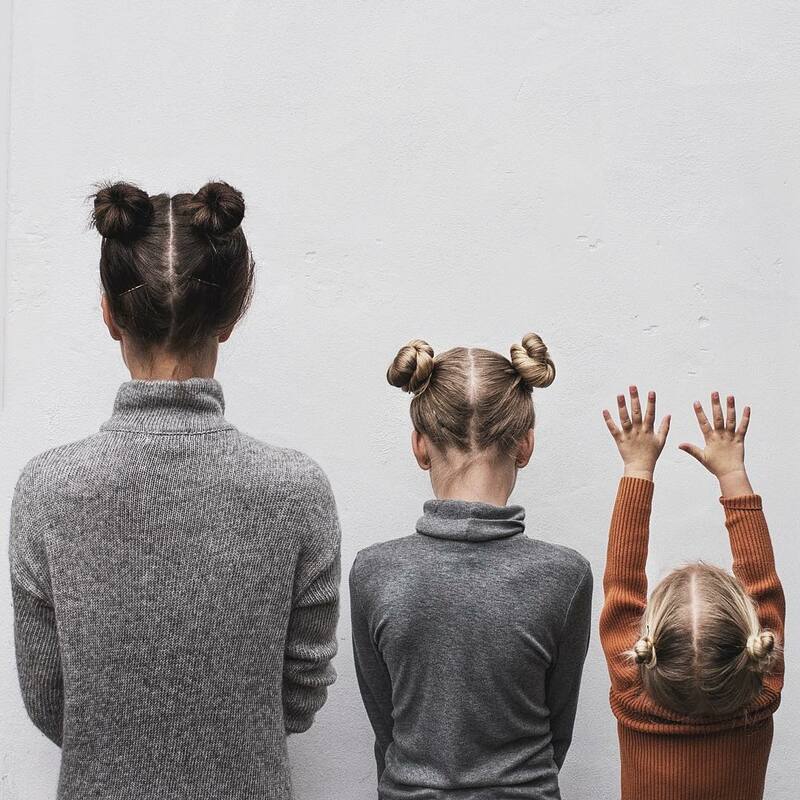 Dominique, the UK-based mom behind fashion and lifestyle blog All That Is She, documents her daily life on her minimalist-inspired Instagram account. 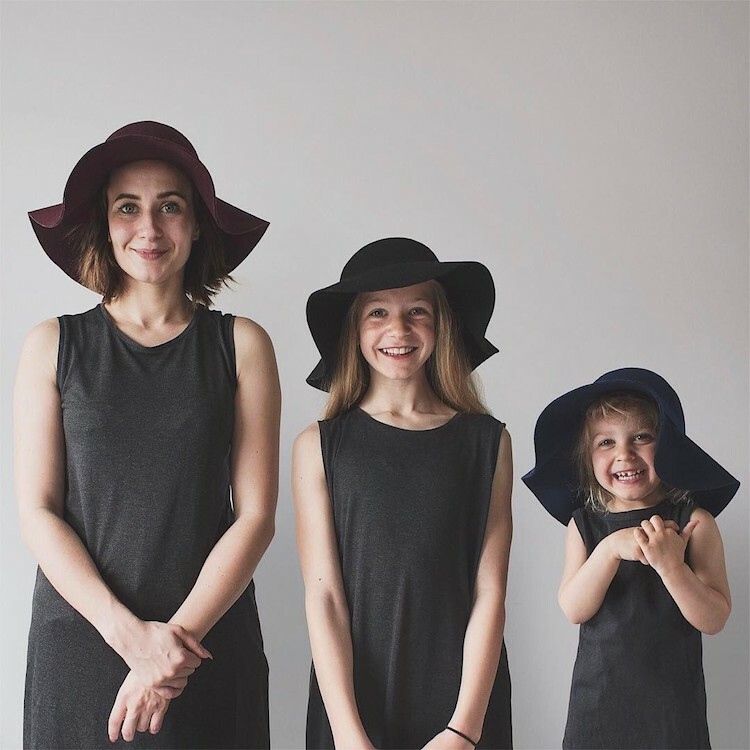 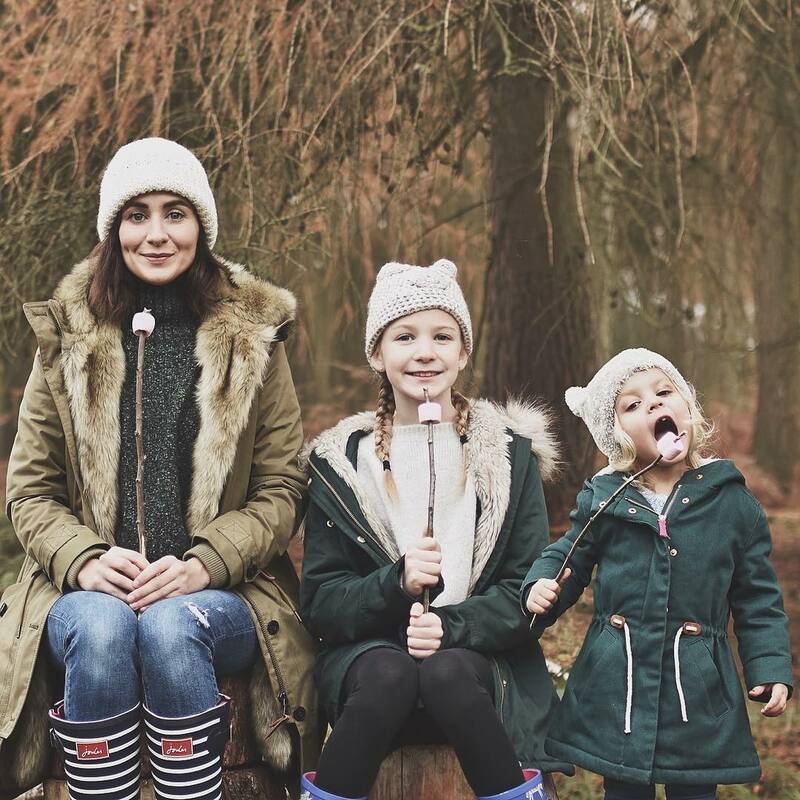 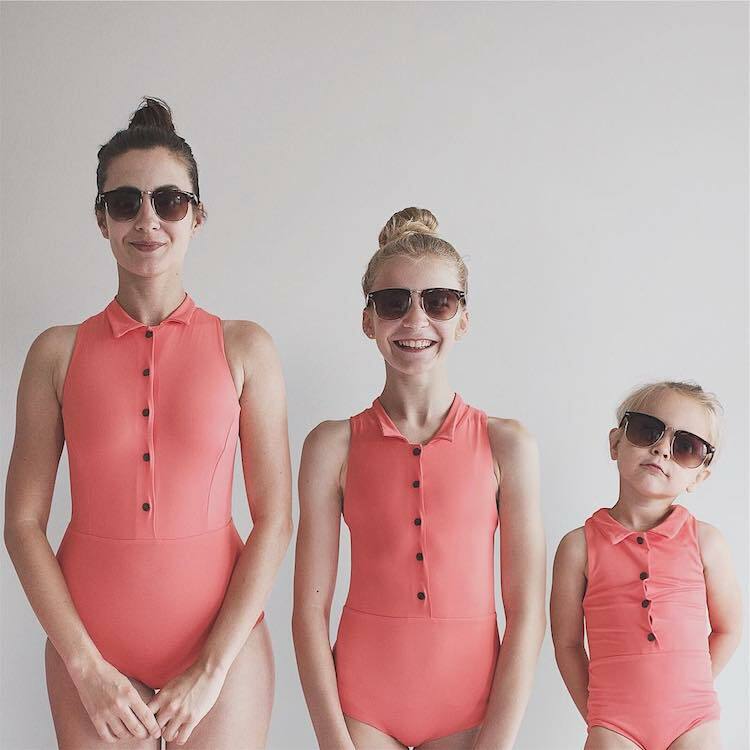 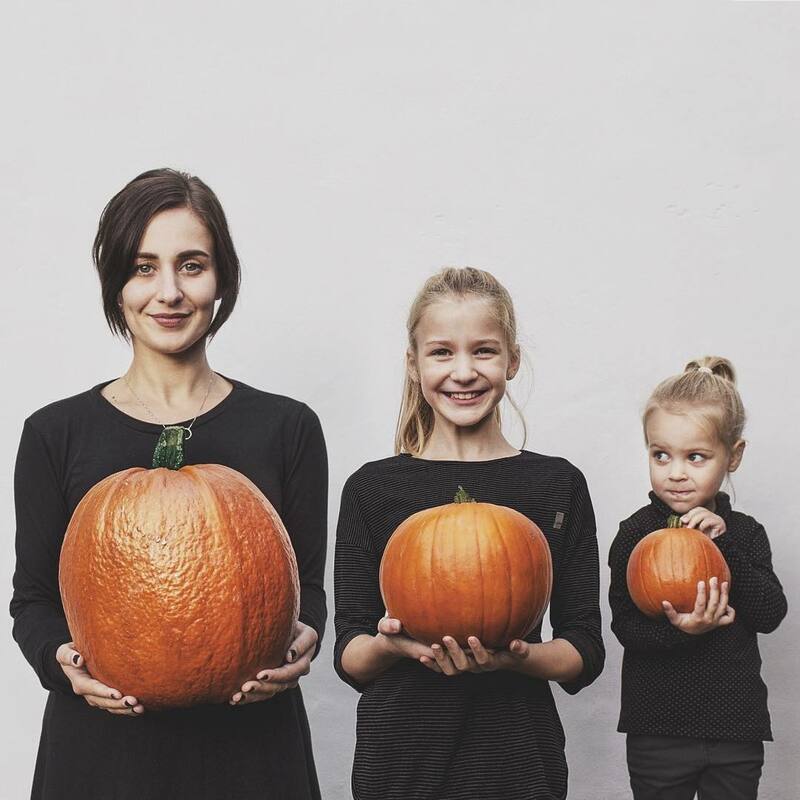 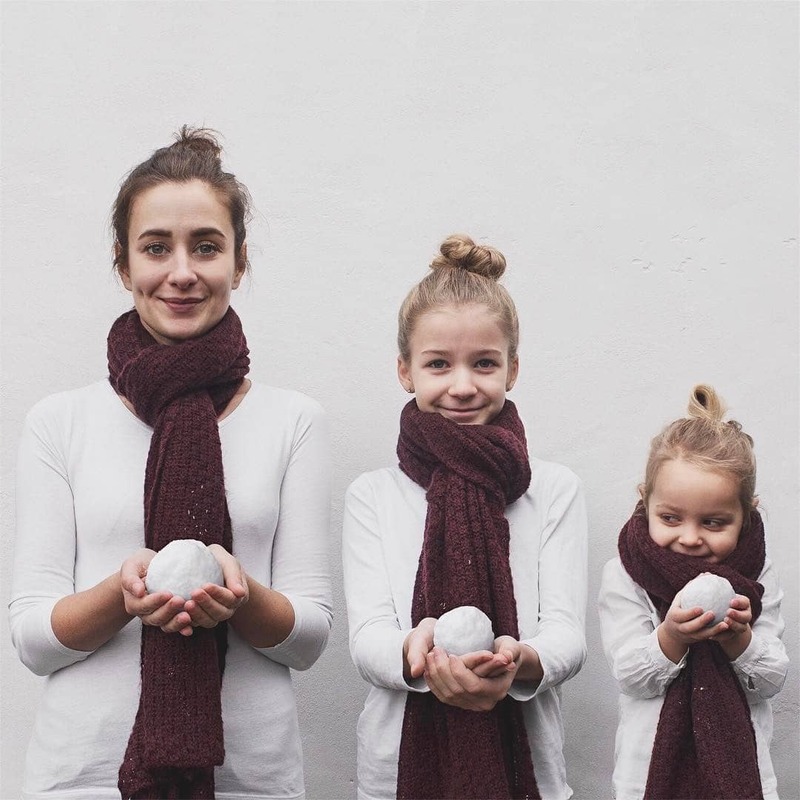 In a series that she cleverly calls All That Is Three (#allthatisthree), the 30-year-old mom shares snapshots of her and her matching mini-me daughters. 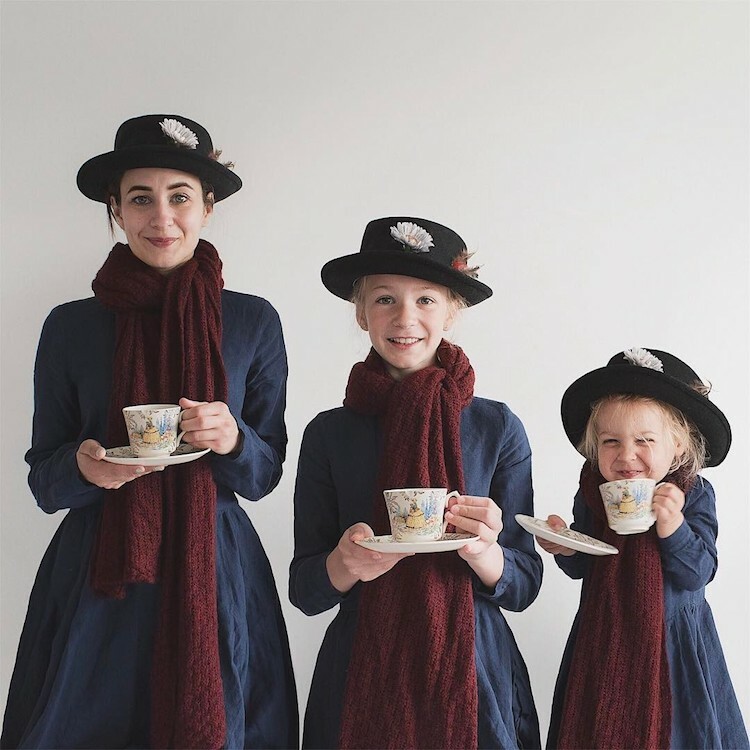 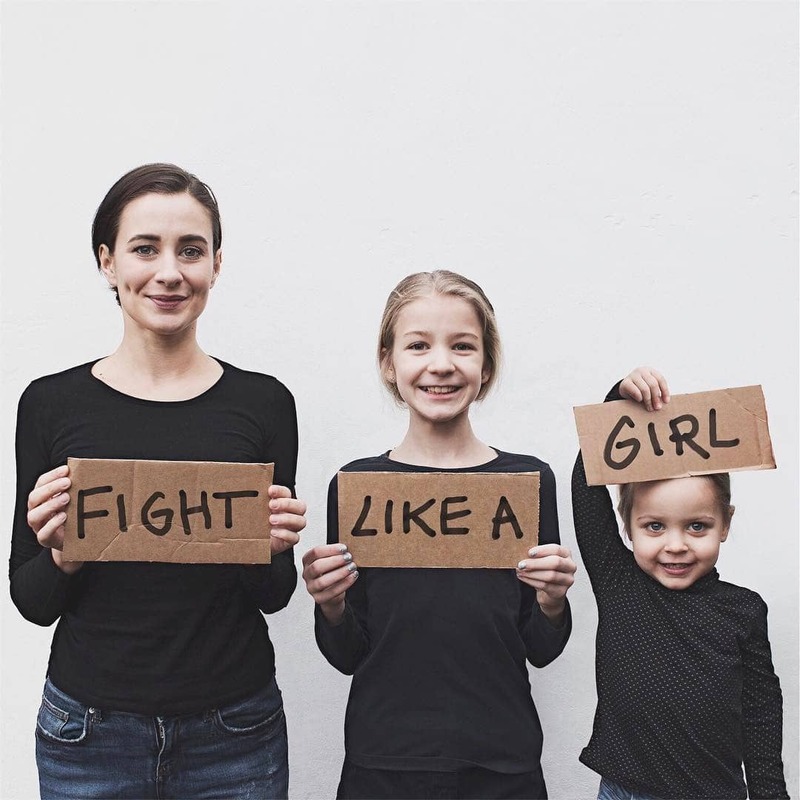 In each photograph, Dominique and her daughters, 10-year-old Amelia and 3-year-old Penny, stand in descending height order as they don look-alike garments, props, and hairstyles. 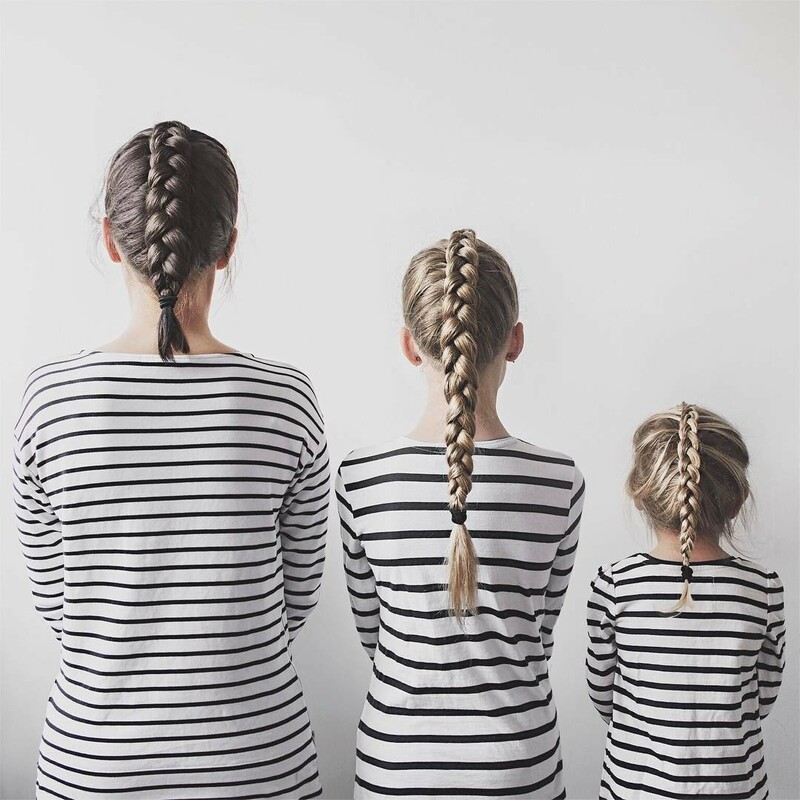 The series started after Dominique noticed that, one day, she and her two daughters were inadvertently dressed in similar striped shirts topped with buns on their heads. 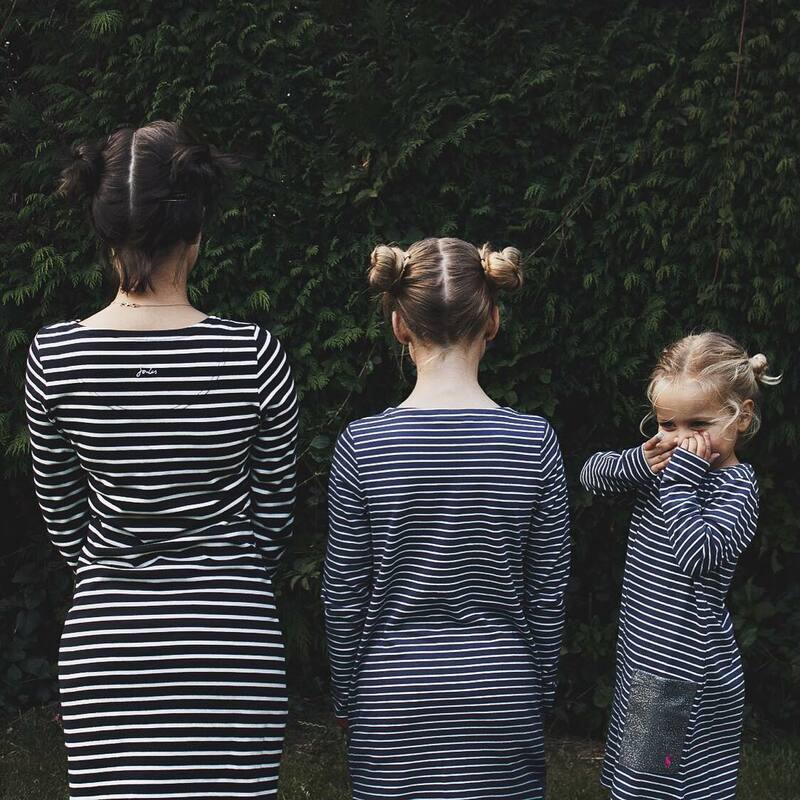 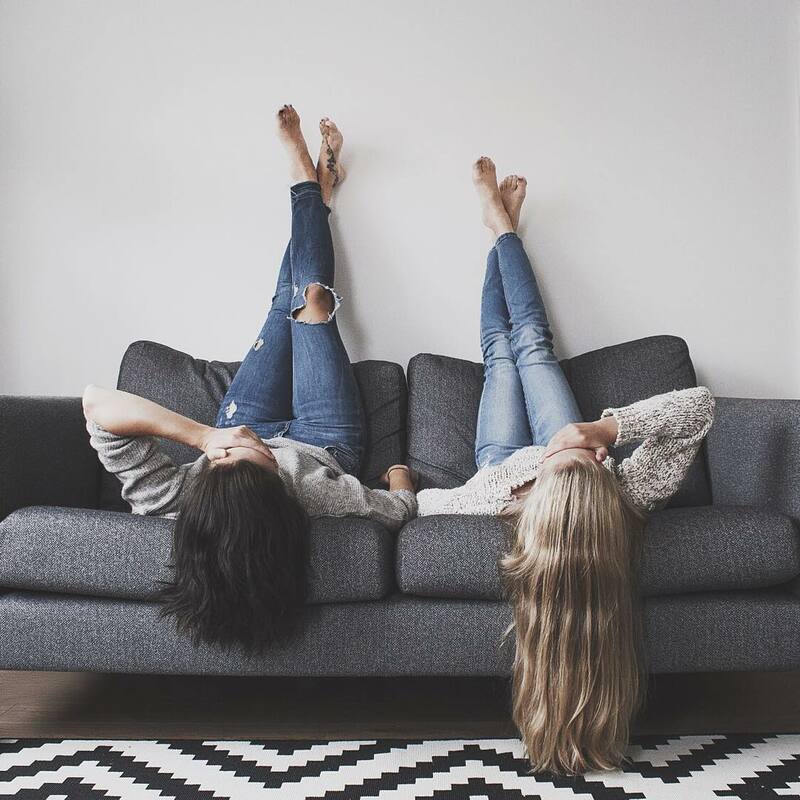 She snapped a photo of their identical ensembles, and posted it on Instagram, where her followers fell in love with the cute concept. 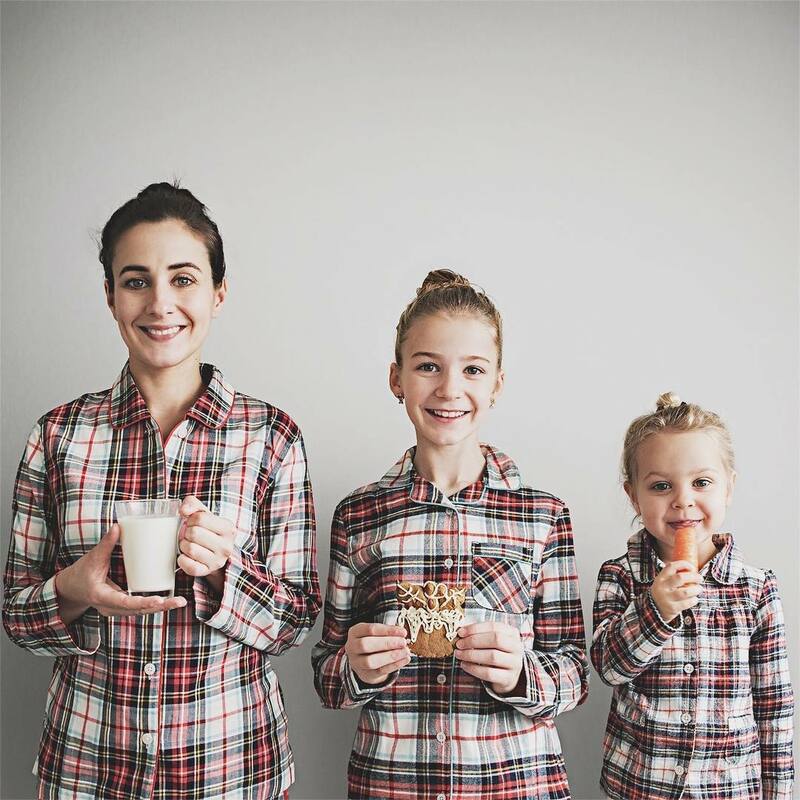 Since sharing that first silly shot, Dominique, Amelia, and Penny have posed in coordinated outfits that range from spooky Halloween costumes to cozy winter-wear. 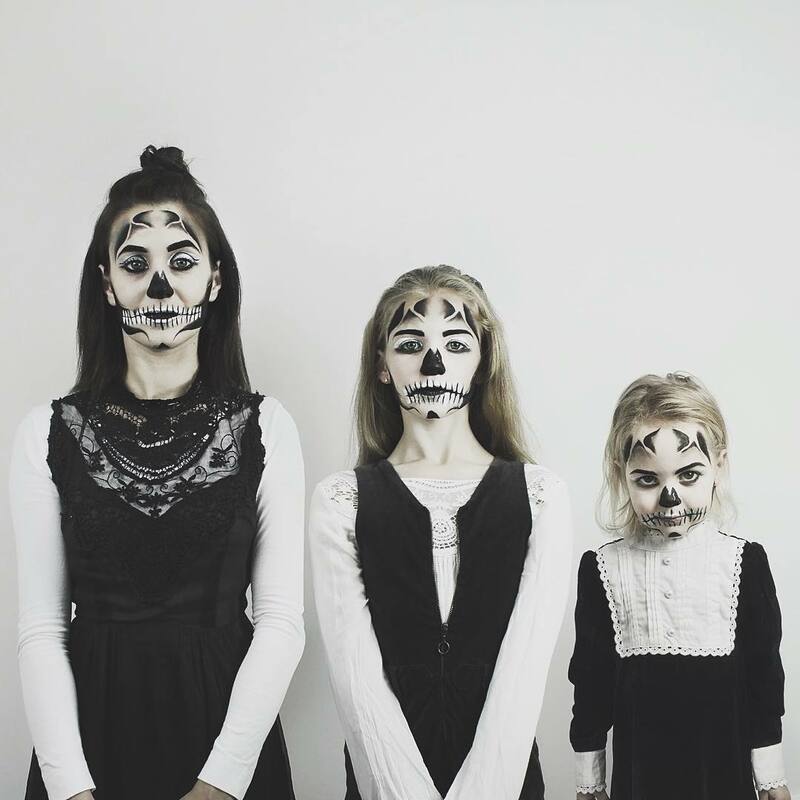 Dominique began her All That Is Three project with this photo. 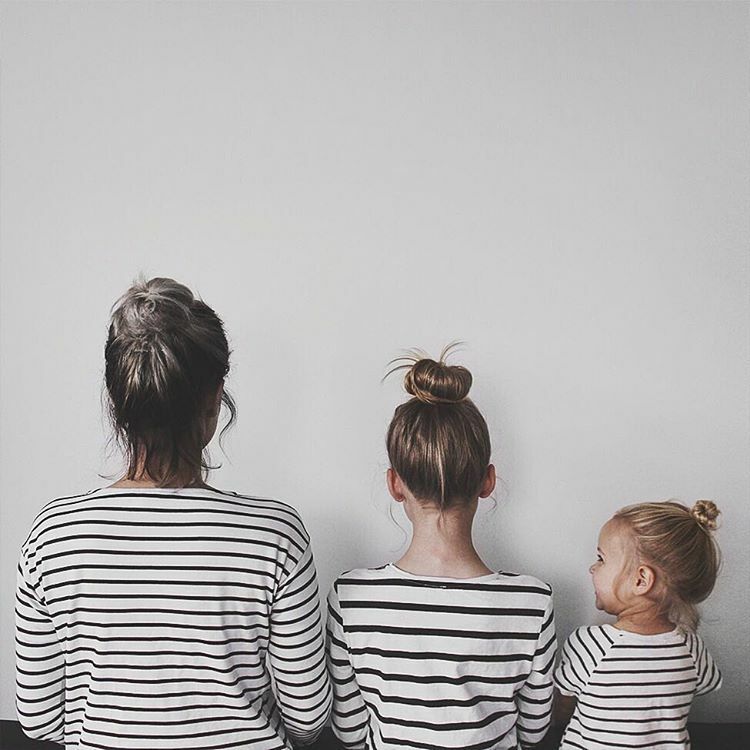 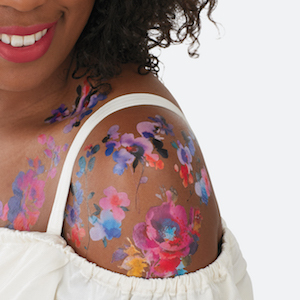 Soon, she and her daughters began to match on a regular basis. 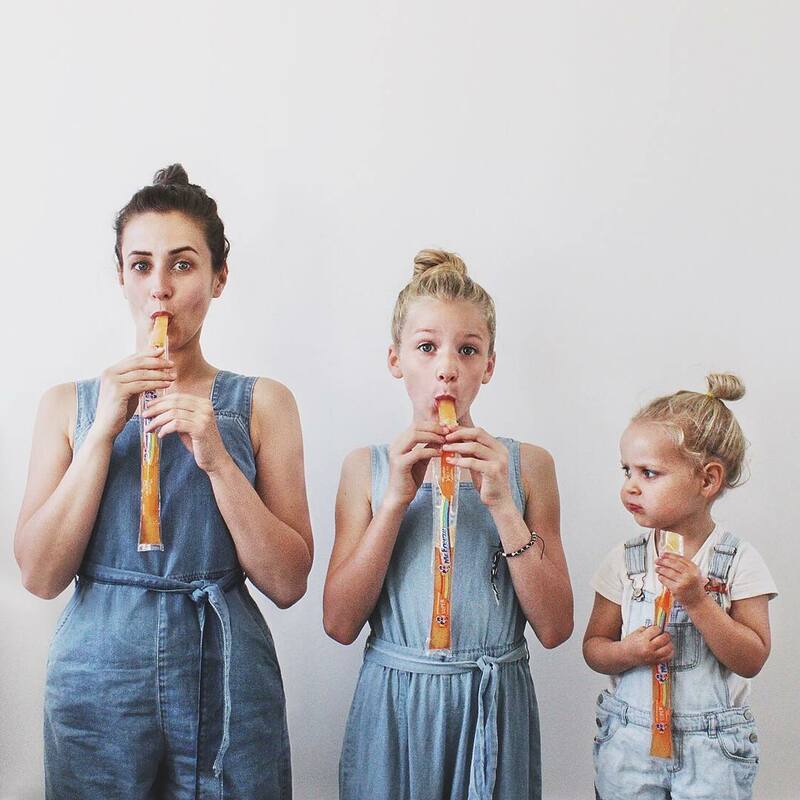 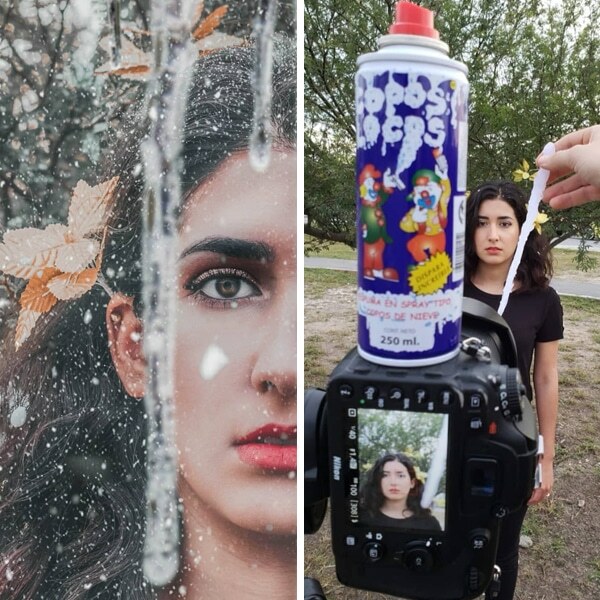 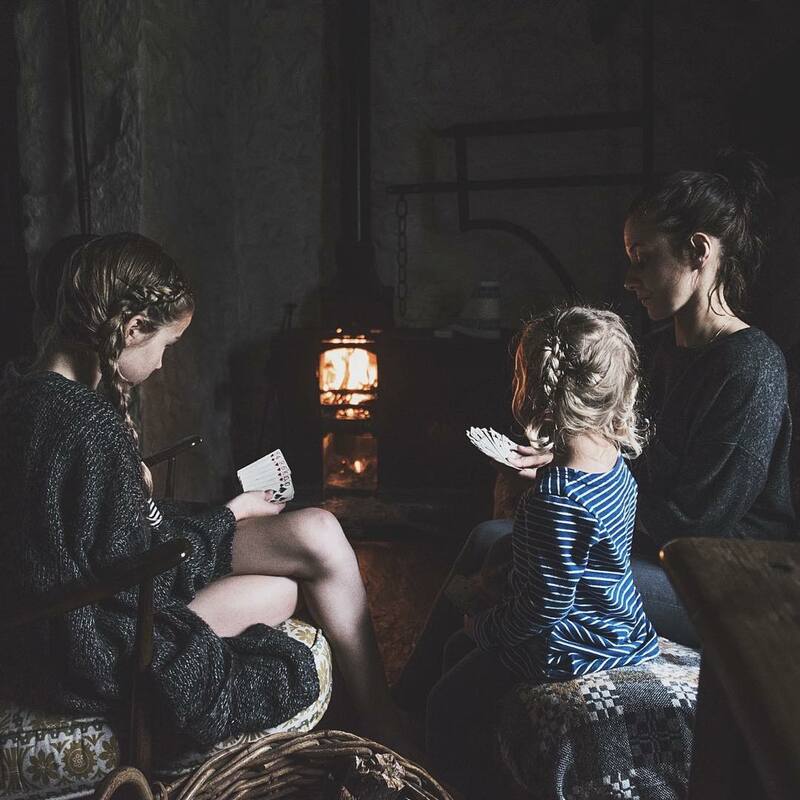 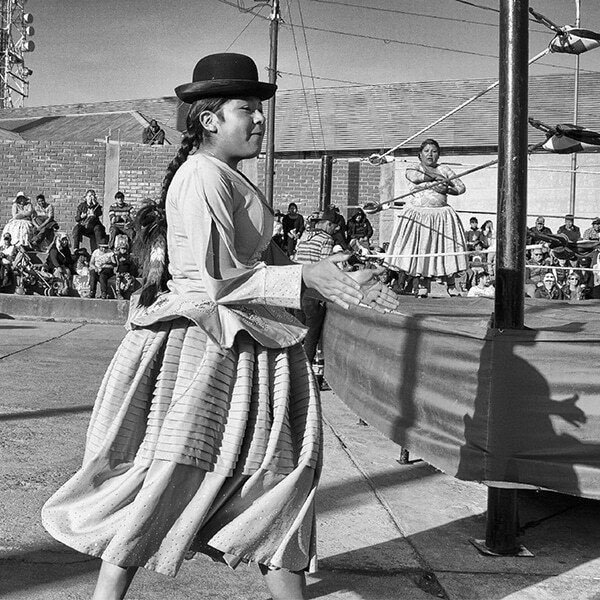 Some of her photos, however, simply capture daily life with her daughters. 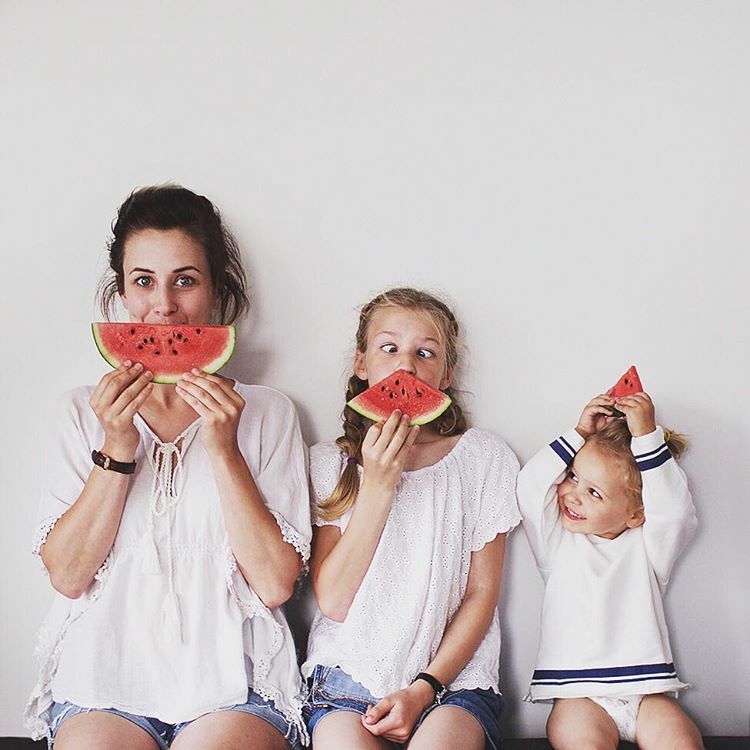 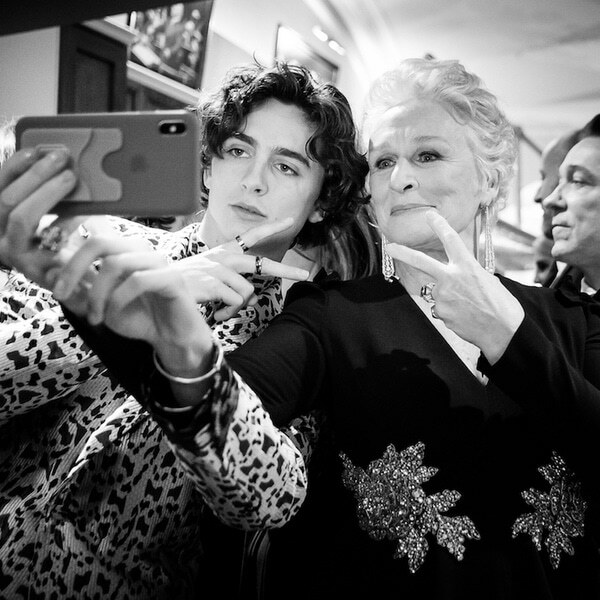 All images via All That is She. 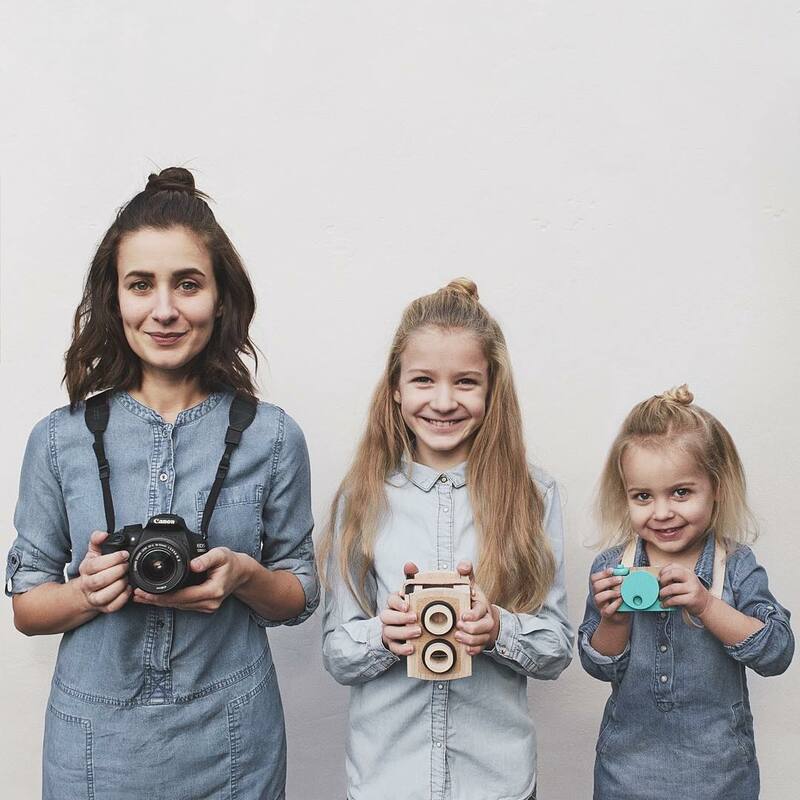 Love this matching mother-daughter project?